Do you feel like snowboarding? Beat all the tracks doing incredible tricks while you collect as many coins as you can. Spongebob is rushing down a hill on a snowboard! Help him perform stunts and dodge the obstacles. In this awesome snowboard game you'll be free to do the tricks you want. Will you be able to reach the goal without any broken bones? Winter sports are here. Choose a mountain peak and rush down the slopes on your snowboard. Do all kinds of tricks, but avoid getting hurt. This sequel has much better graphics. Choose a slope and rush down on your snowboard! Glide and jump on your snowboard across the most dangerous snowy hills - stay ahead of the avalanche! Plan your moves fast, jump on the platforms, collect coins and make sure to stay safe! Good luck! Control a BMX bike around an indoor track and do all kinds of tricks, such as the tailwhip and the superman! Have fun! 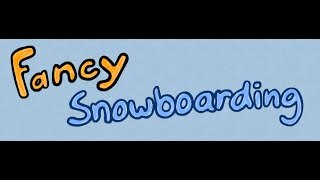 Get ready to snowboard in this thrilling game! Take your board to do the most amazing jumps and tricks. Dodge the traps and try to reach the goal! Have fun!